Born in Stoke-onTrent in 1960. 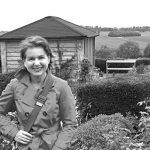 Studied Fine Art Printmaking & Painting at Leicester Polytechnic and has an MA in Fine Art from Nottingham Trent. 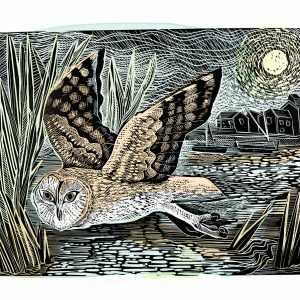 Working from her rural studio in Rutland, Angela Harding is a printmaker and painter using a variety of media, including dry point, linocut, woodcut, etching and mono printing. 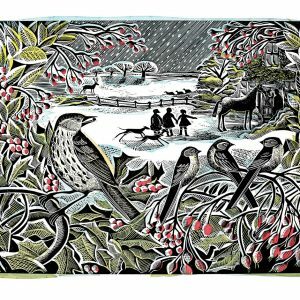 “The recurring inspiration for my work is the flora and fauna of the British countryside. 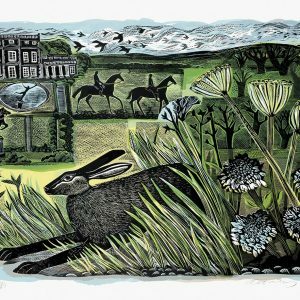 My studio overlooks English farmland and often forms the backdrop to my work. I aim to capture a mood and atmosphere rather than a direct representation. 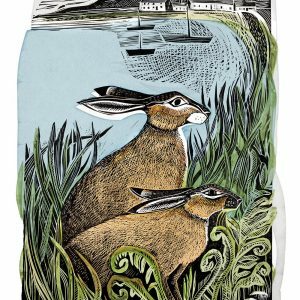 Angela Harding’s work has featured in a number of national magazines including Country Living who produced a 4-page article about her painting in May 2012. 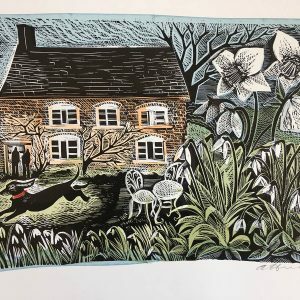 Gardens Illustrated magazine and BBC Country File magazine have regularly commissioned original prints as illustration, many of these prints are available from Twenty Twenty Gallery. Angela exhibits throughout the UK and has an increasing number of collectors. 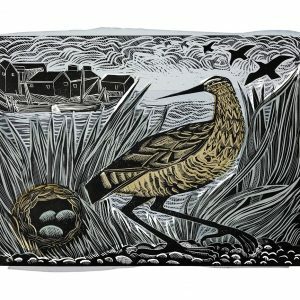 Linocut and silkscreen. Image size: 67 x 49cm Unframed. Edition 150. Printed on 415g Somerset Tub paper. Free postage. Linocut and silkscreen. Image size: 43 x 37cm Framed in light oak. Edition 75. Printed on 315g Heritage white paper. Linocut and silkscreen. Image size: 30 x 40cm Unframed. Edition 50. Printed on 315g Heritage white paper. Free postage. Linocut and silkscreen. Image size: 24 x 30cm Framed in light oak. Edition 45. Printed on 315g Heritage white paper. 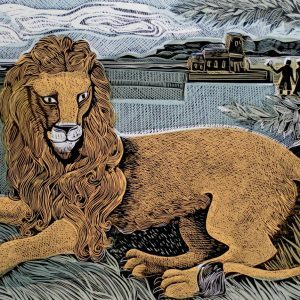 Linocut and silkscreen. Image size: 22 x 27cm Framed in light oak. Edition 65. Printed on 315g Heritage white paper. Linocut and silkscreen. Image size: 40 x 32cm Framed in light oak. Edition 75. Printed on 315g Heritage white paper. Linocut and silkscreen. Image size: 43 x 37cm Framed in light oak. Edition 65. Printed on 315g Heritage white paper.